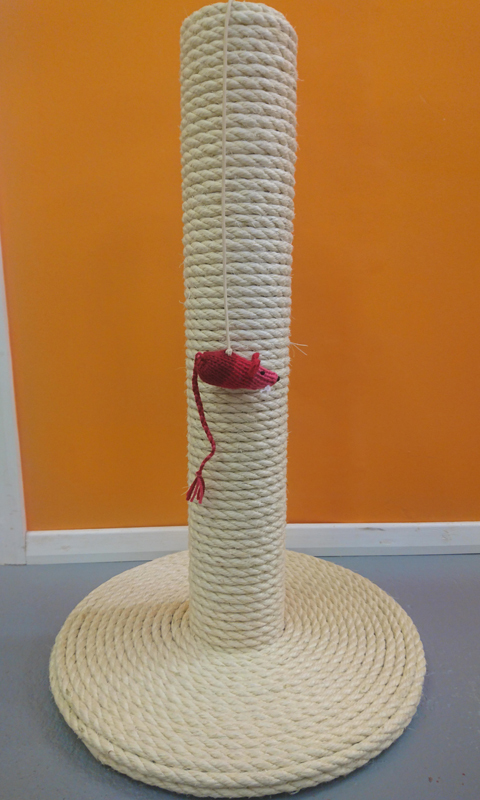 This is our original cat scratching post and still the best selling post by a country mile (as we say in Devon). 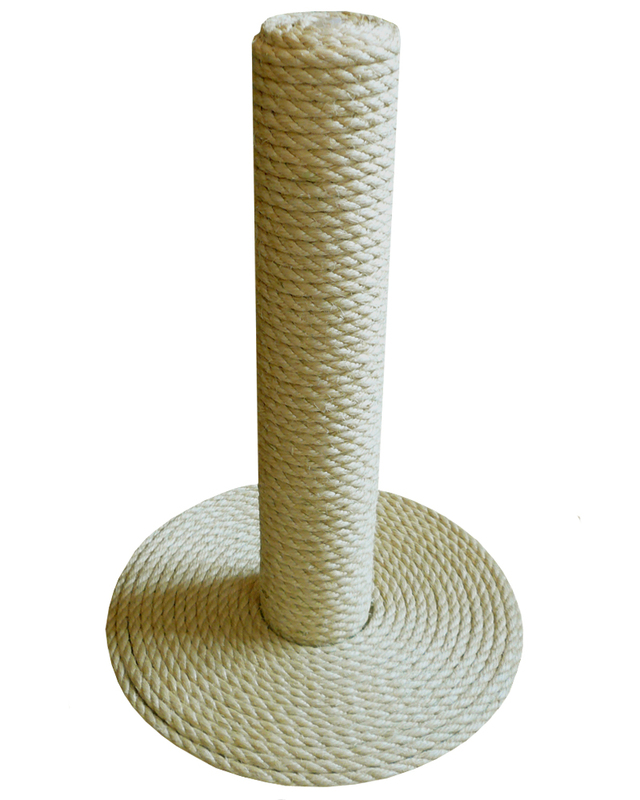 This quality cat scratching post is extremely strong, heavy and robust. 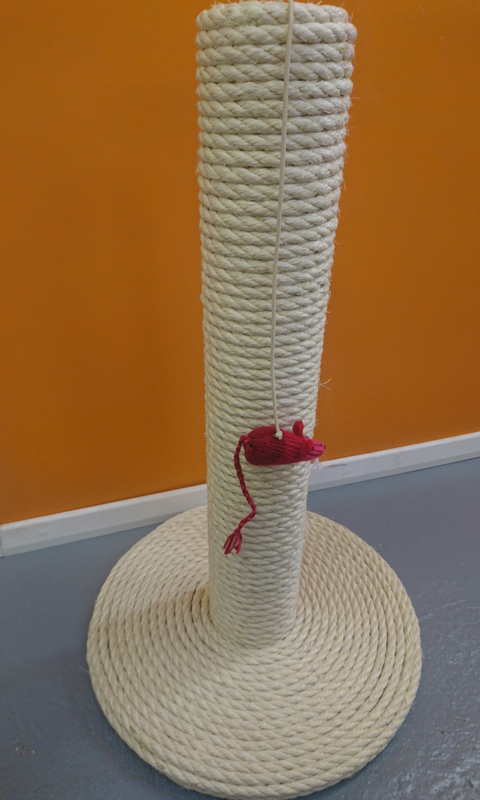 It's rugged design is built to last and its chunky appearance is the secret to its success. 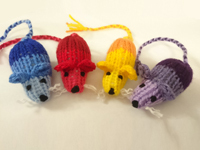 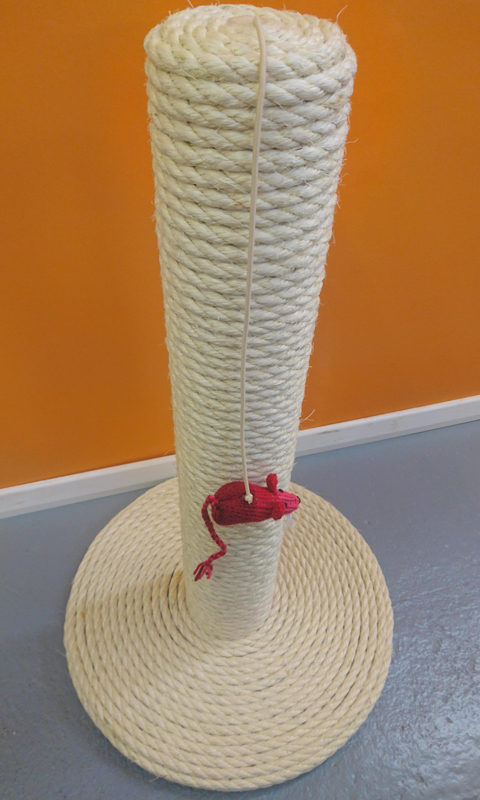 With 5 different size options available - this post is suitable for all cats. 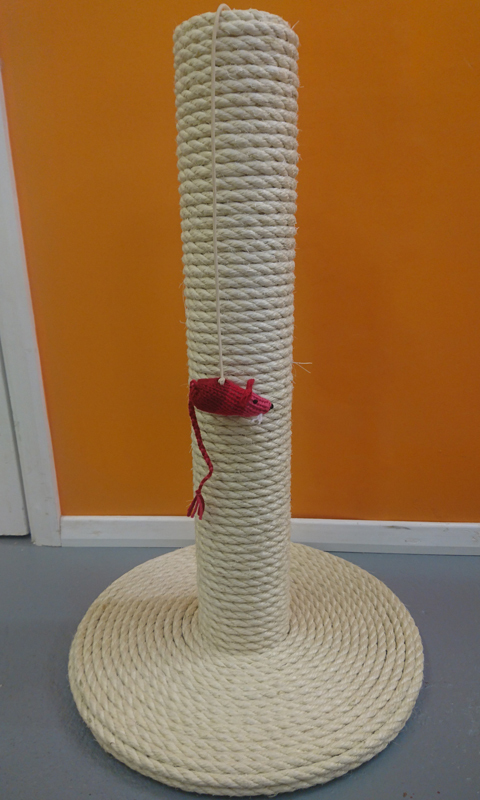 We're so confident that you and your cat will love this cat scratching post that we'll give you a full refund if you or your cat are not entirely satisfied with it - that's the ScratchyCats Catisfaction Guarantee. 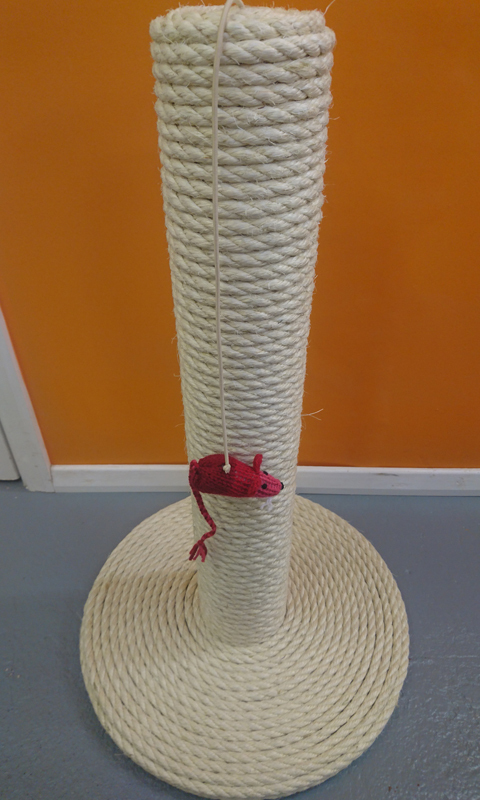 There's a very good reason that this scratching post is our best seller, in fact there's lots of them - but the main reason is that it works, it really works! 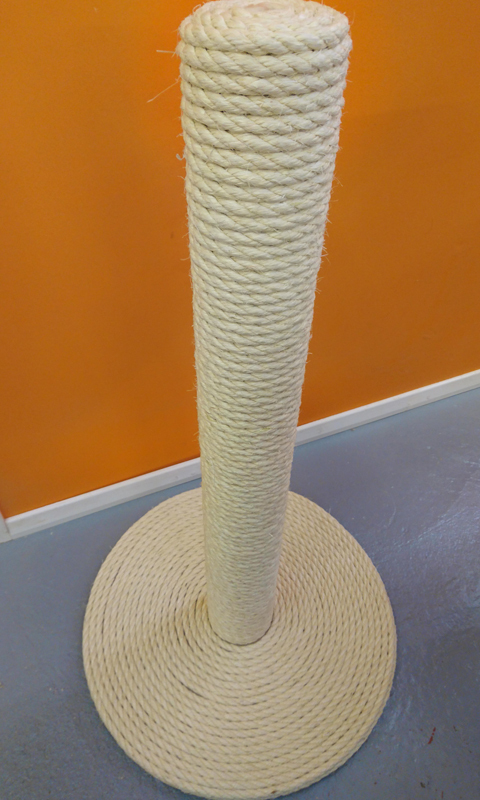 It's chunky appearance is appealing to your cat. 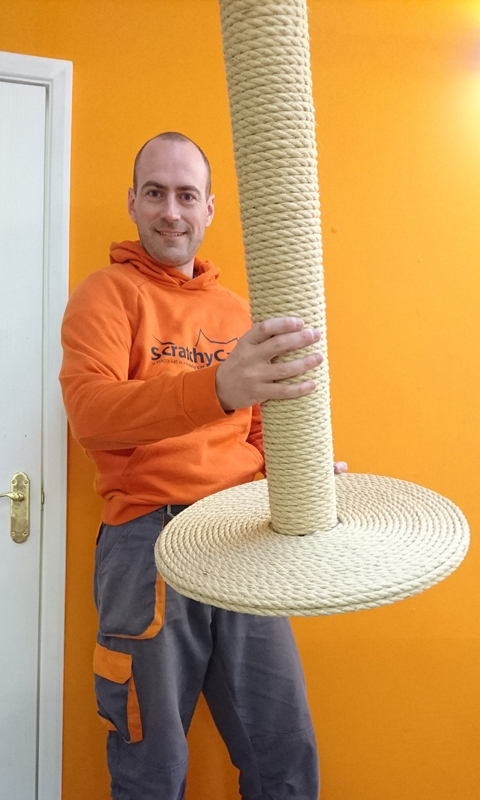 It's post is over 100mm wide (that's 10cm), and your cat will go wild for it. 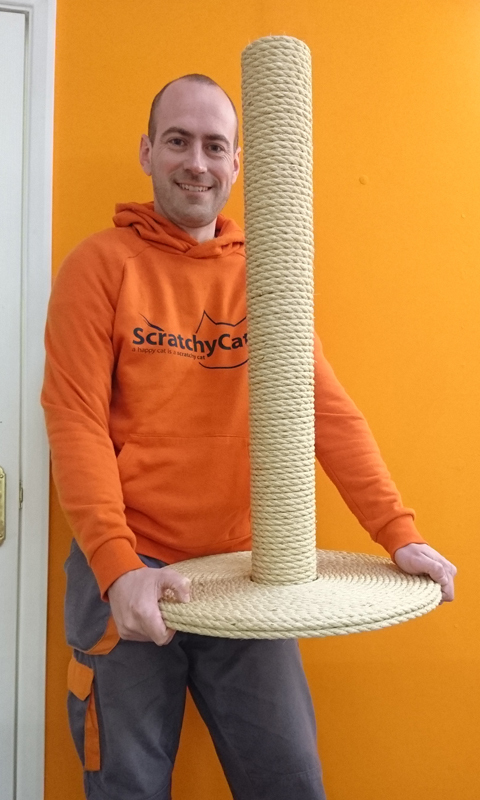 It's durable too, and built to last with a super strong 2-piece construction - suitable for even the biggest and strongest cats! 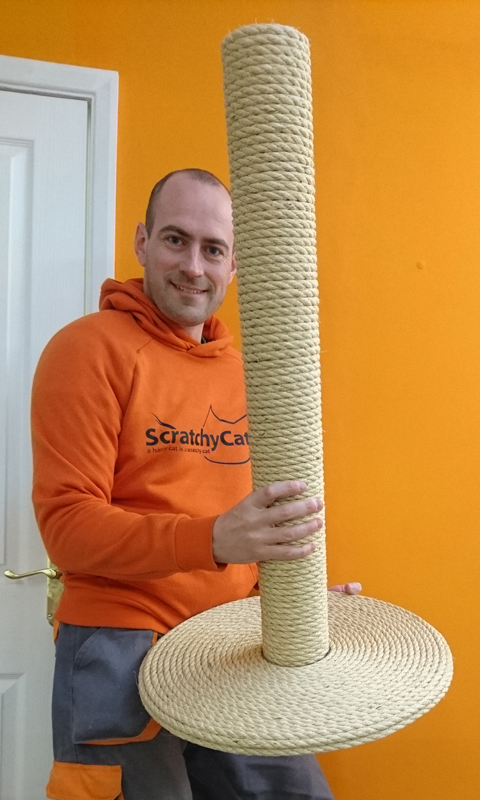 You can choose the height of your cat scratching post when you checkout. 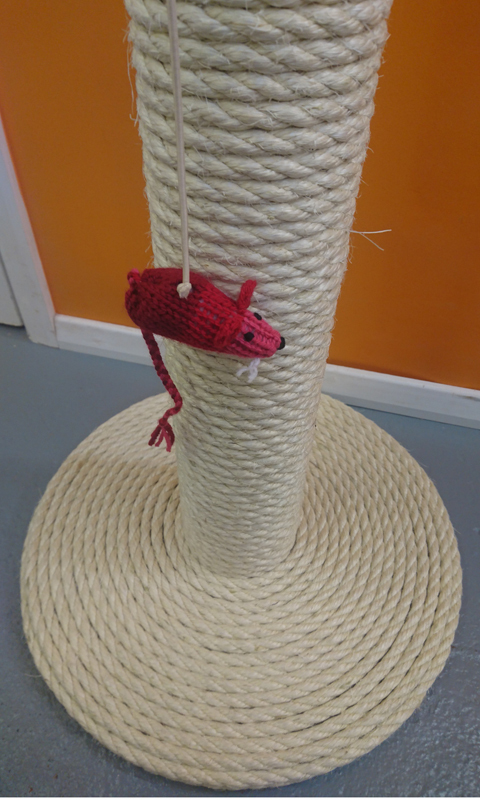 Choose from 40cm all the way up to a staggering 80cm (perfect for big cats). 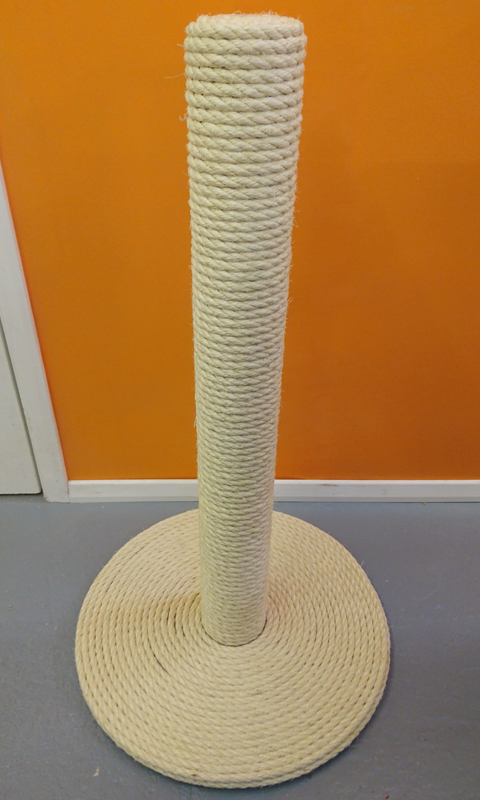 You can also buy replacement parts for this scratching post including the base and the post itself from our parts page. 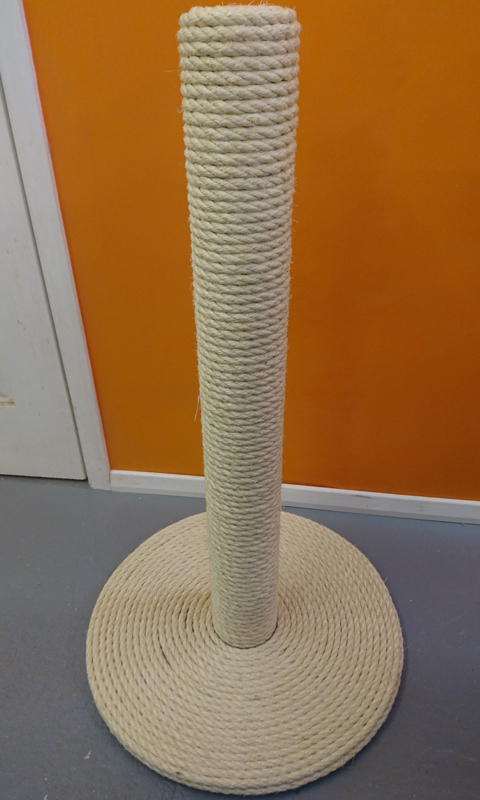 You can choose the size of the cat scratching post at the checkout. See measurements and pricing structure above.